A interactive surface of 135"
Promethean ActivWall 135'' Interactive Whiteboard is one of the greatest tools that can be placed at the teacher’s disposal. It enables them to provide students with immersive and engaging lessons. 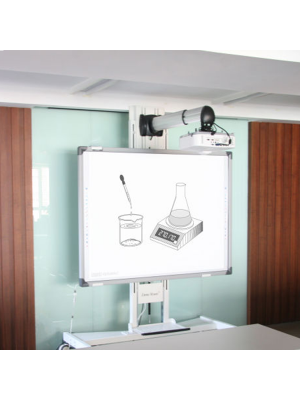 The interactive whiteboard comes with a huge interactive screen of 135”, providing students with a theater like experience in class due to its large screen and full HD resolution. It not only comes integrated with DLP solid-state illumination full HD projector, but also has powerful built-in stereo speakers in order to provide the users with a better experience. The device also permits the use to perform instant white-boarding, create creative polls and comes with the capabilities of providing wireless mirroring system. Promethean ActivWall 135'' can provide the user with an interactive web browsing experience and is backed with a award-winning interactive software. Furthermore, it has 20 touch point and four digital pen interactivity! 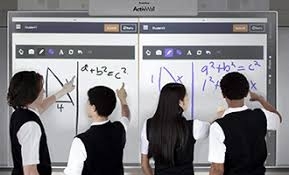 For more user convenience, the interactive whiteboard comes integrated with multiple connectivity ports such as HDMI, VGA, and USB and posses a simple and intuitive interface. 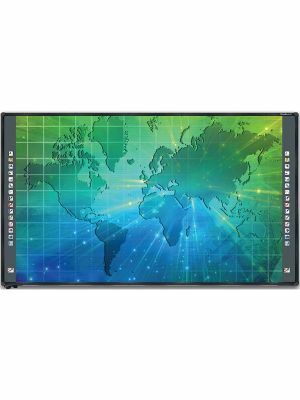 Promethean ActivWall 135'' Interactive Whiteboard is compatible with both Windows and OS X. Lastly, the Interactive whiteboard comes with a 3-year return for repair warranty incase an unfortunate event occurs. With all these features, Promethean ActivWall 135'' Interactive Whiteboard is the most ideal choice for schools across the globe looking to modernize their working environment. Not only does ActivWall comes supported with 20 touch points and 4 digital pen interactivity but it also allows teachers to divide the wall into independent learning spaces for both individual and collective use. 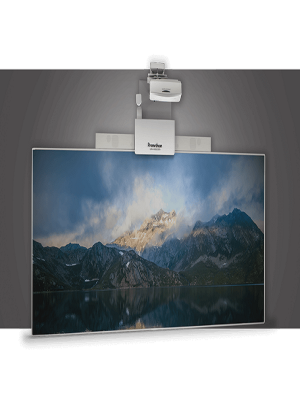 Moreover, the interactive whiteboard with its huge 135” screen size and full HD resolution provide students with an incredibly immersing experience. These features ensure that they would definitely be intrigued and motivated to participate more in lessons. 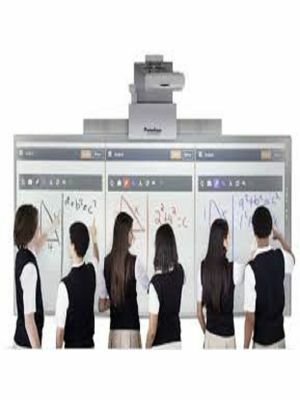 Promethean ActivWall 135’’ Interactive Whiteboard is backed with a environment friendly DLP solid-state projector. It can deliver long-lasting illumination, brilliant colors and a 20 000-hour ling source with no lamp replacement and is an incredibly useful feature to have in hand.